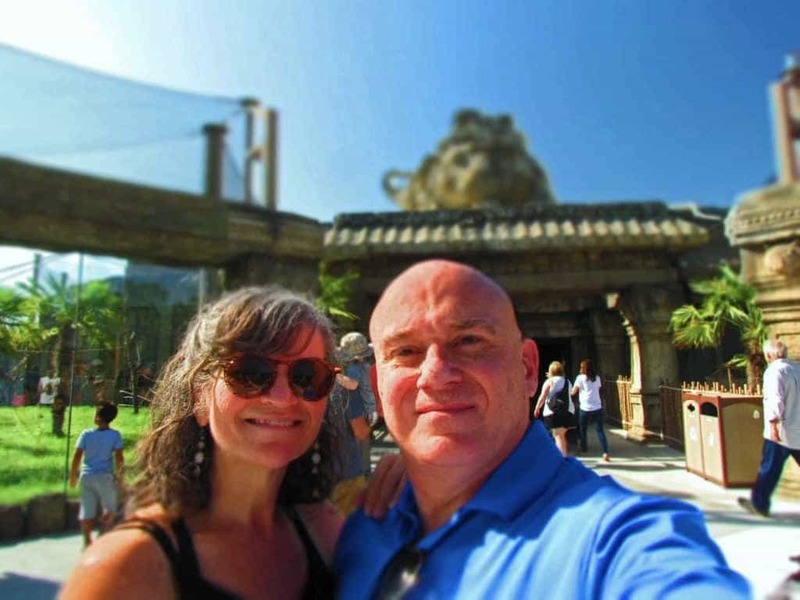 Some people avoid outdoor activities during the summer months, but we love to get a daily dose of Vitamin D. For our stop at the Tulsa Zoo, we knew it would be best to start early to see the most activity. We arrived at opening time, and met up with Ellen Averill for a quick golf cart tour of the place. Ellen showed us the lay of the land, and explained a lot of the background of the zoo’s rich history. (Thank you Ellen for taking the time to assist us.) With this basic information, we were ready to dive into our day. We want to thank the Tulsa Zoo for their hospitality. Rest assured that all opinions are our own. Tulsa Zoo’s newest exhibit is the Lost Kingdom of Angkor-Wat. This ancient Asian city is filled with some of the rarest, and most elusive creatures in the world. As we wandered into the area, we felt like explorers entering a city that time had forgotten. The exhibits are well designed, and offer a wide range of viewing opportunities. Large glass panels give visitors ample viewing areas, and create an airy feeling to the displays. The designers of this newest attraction certainly hit a home-run with this exhibit area. We arrived in time to watch one of the siamangs seeking shelter for a morning nap. While I was able to capture a few images of this mysterious creature, I just didn’t feel any did it justice. 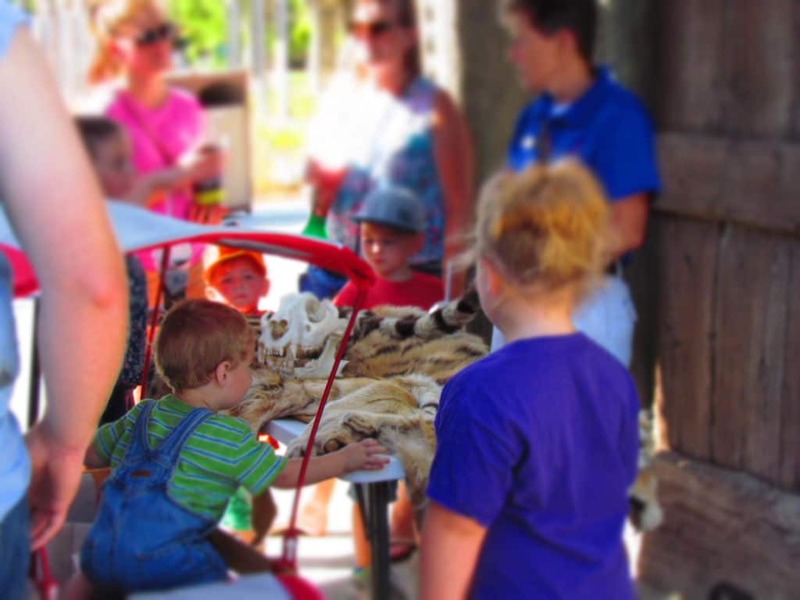 We will let you see it for yourself when you visit the zoo, and you can tell us what you think of it. Across from the siamang exhibit is the entrance to the Malaysian Tiger home. Stepping through the entrance, we were immediately transported to the ancient ruins of an abandoned forest city. Through the glass we spotted one of the tigers, as he surveyed his valley home. We were mesmerized, like the rest of the visitors, and watched in awe as he scoped out his abode. 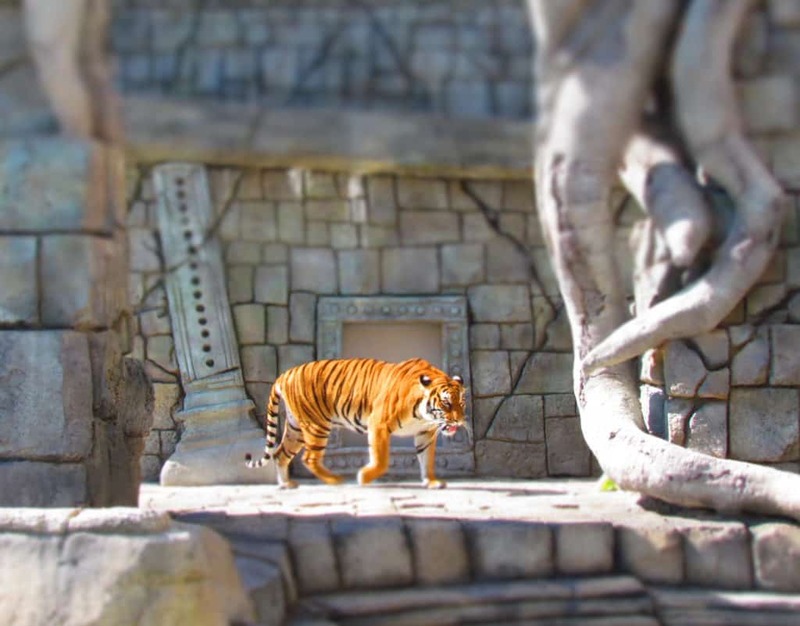 The exhibit includes a tiger bridge that allows the cats to travel between open areas. It also allows guests to watch them, as they prowl the “cat-walk” during their crossings. After our time with the tigers was through, we made our way past the Komodo Dragon exhibit. One of these formidable creatures was sunning itself in the morning light, but only gave us a passing glance. We passed under the tiger bridge, and came to an area where some staff members were giving educational information to guests on the biology of the creatures in this area. Tables filled with furs, and skeletal pieces were very popular with the kids, as well as the adults. these displays helped showcase the differences between the species, and helps create a bond between the animals of the wild and humans. Our hope is that it sparks that we all need to strive to preserve all of the species that share this planet. While Crystal examined some of the displays, my attention was drawn to a crowd that had assembled by a nearby window. 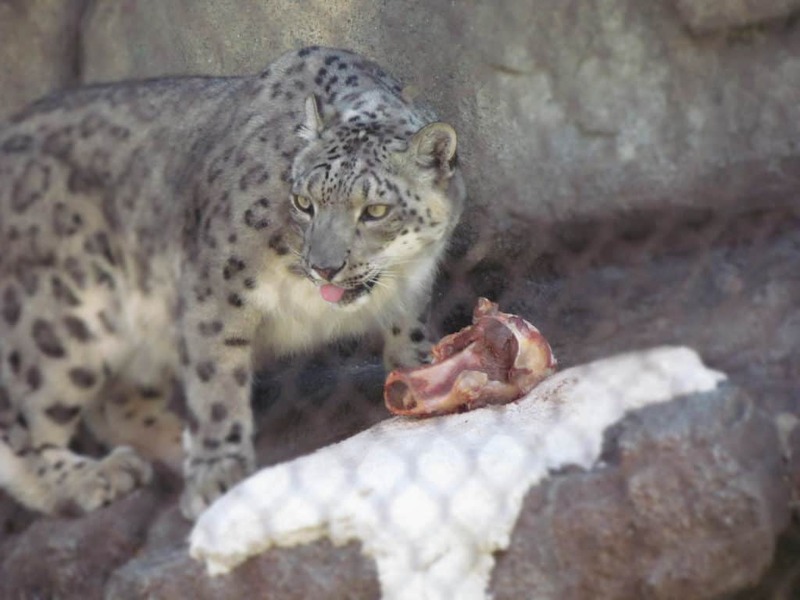 Inside were a group of juvenile snow leopards, who were playfully engaged. These beautiful creatures are so rare in the wild, and enchanting to watch. Soon the staff let them loose into their yard, and the activity escalated. Running, wrestling, and exploring was the name of the game, which was everything the crowd could hope for. Staff members had placed food in strategic places, and soon the cats discovered it. The hierarchy game began, which included more wrestling. Soon enough they all had settled in to devour their morning nourishment. We watched for a few more minutes, but then moved to allow room for more guests to view. Our next stop was at the rainforest exhibit. The entrance takes guests into a lush, almost overgrown display. Once again it felt as though we were explorers traveling into a hidden mountain pass. The landscaping at the Tulsa Zoo is filled with beautiful, and unique plantings. Each region has many plants specific to the area they represent, which adds another level of originality to the attractions. The dappled sunlight that filters through the vegetation actually makes it feel like you have stumbled upon a hidden path. We passed through a weathered arch, and into the building that houses the exhibits. 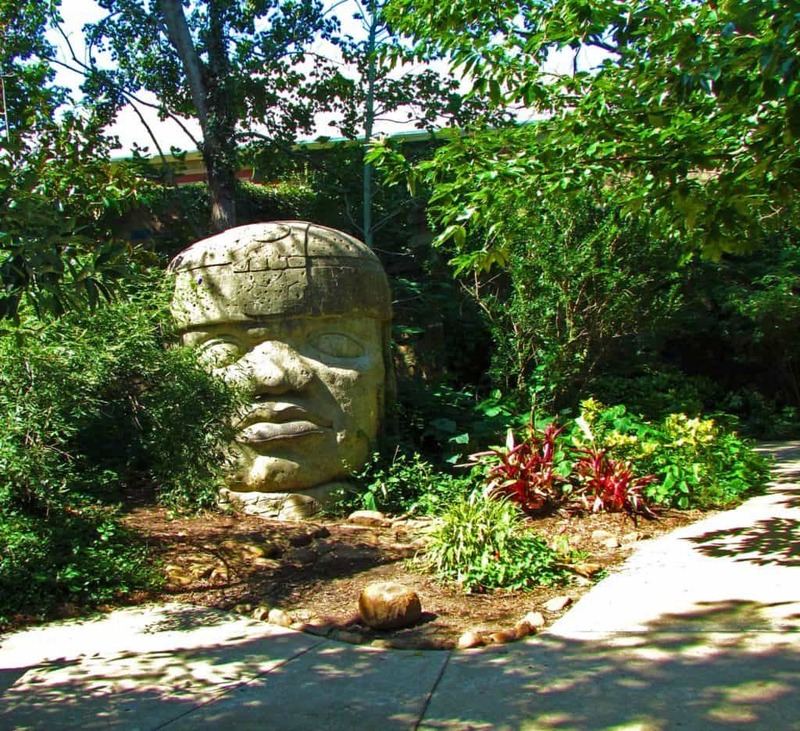 The Tulsa Zoo designed this exhibit to mimic an South American jungle. Throughout the building we stumbled upon murals, statues, and partial walls created to give the feel of ruins. 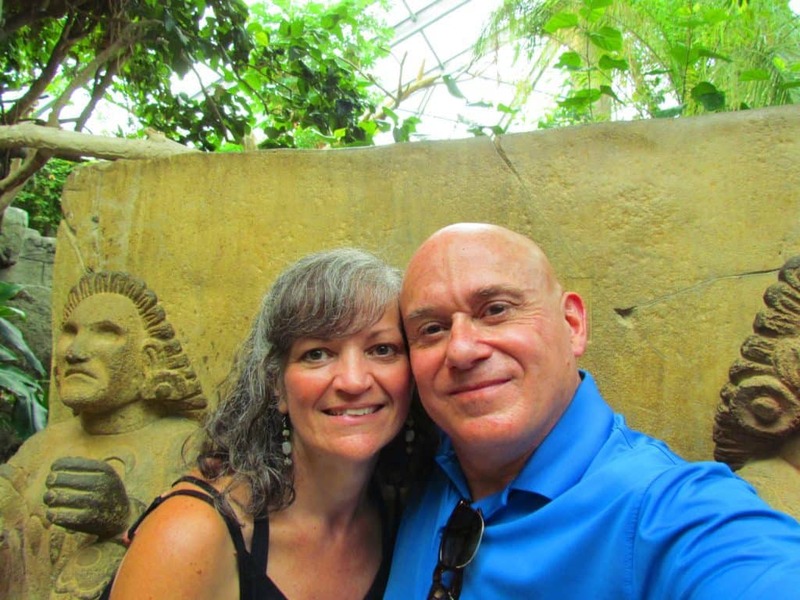 Many of these are great places for a selfie, and we didn’t hesitate to get some of ourselves. A couple spots are so popular that we had to wait in line for our photo opportunity. It definitely shows that this zoo is very popular with the public. One of the first displays we came to included various aquatic creatures. 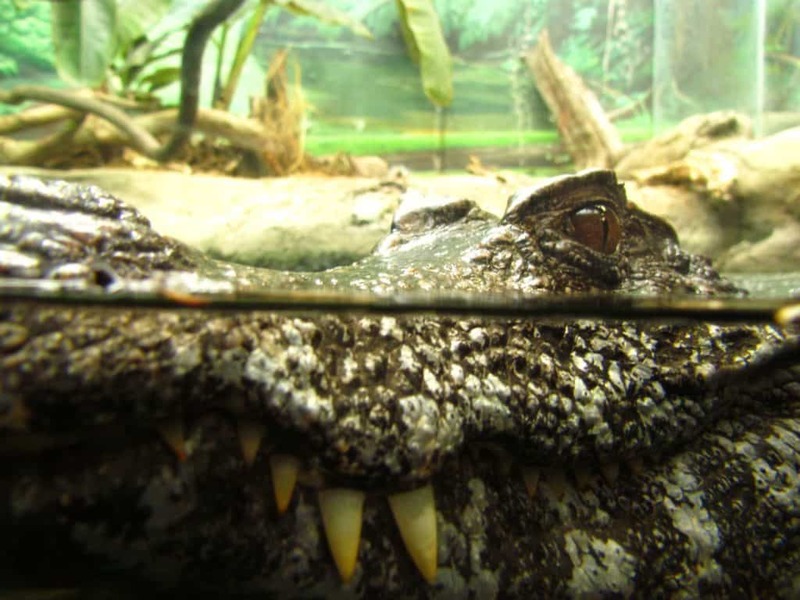 A caiman was kind enough to pose for a picture that shows the dangers that can lie just below the surface. Across from this new found friend, we watched schools of piranha swimming in their tanks. Clearly this area was a good reminder to look before you leap. Fortunately, none of these creatures make their homes in our temperate waterways here in the Midwest. A little farther down the path we came to the poison dart frog exhibit, which we were surprised to find fairly open for viewing. These little guys may be brightly colored, but they can still hide when they don’t want to be seen. This particular display was another popular stop for viewing. Being big on people watching, we enjoyed seeing the children excitement when they spotted a new color pattern. As we exited the building portion, we came upon the outdoor section, which holds the jaguars. Once again, we arrived at feeding time, so we got to witness the interaction between the two animals. One was clearly dominant, but there was enough food for both. These creatures are so beautiful to watch, and their coats are amazing to see in person. The exhibit offers a couple of different viewing areas, so guests can keep sight of the animals wherever they wander in their area. We watched these for a while, but time required us to eventually move along. During our earlier tour, Ellen Had explained a few of the unique features found at the Tulsa Zoo. One that struck a chord with us is the Family Den. This building is located near the back of the zoo, and offers a comfortable zone for families. 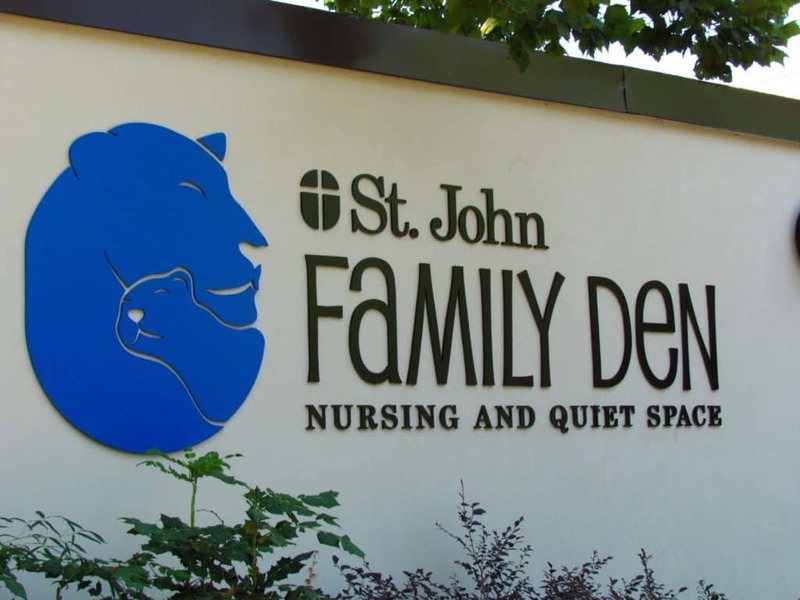 Here mothers can nurse in comfort, and families with special needs children can find a quiet area for children who suffer from sensory overload. This is a feature we have not seen very often, and it showed an extra level of caring. 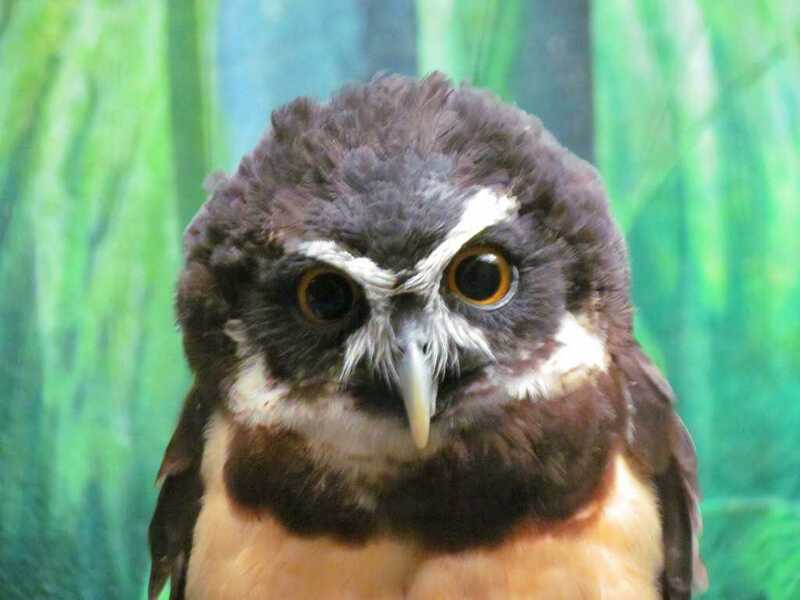 The Tulsa Zoo has many more exhibits besides the ones we covered. In one area of the zoo there is a series of four buildings that highlight the animals that live in different zones. It also shows the hardships of these area, as well as how animals have adapted to them. 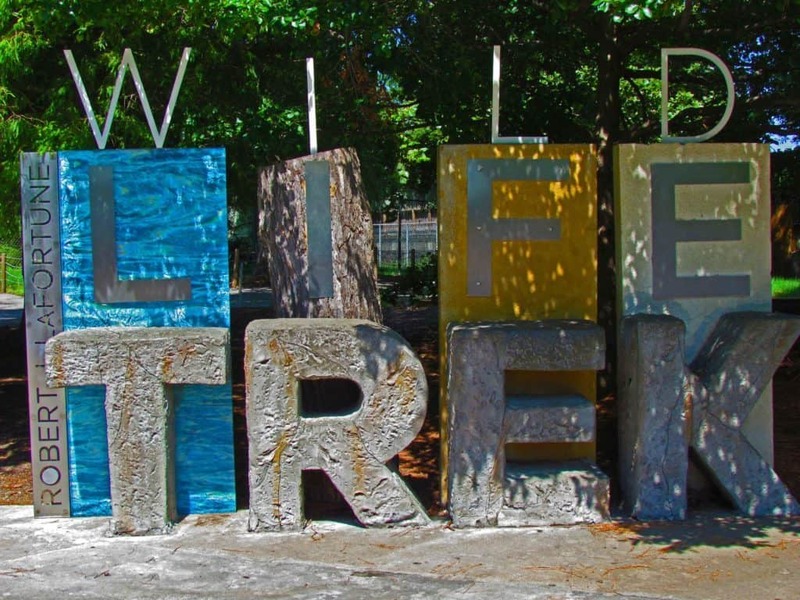 The buildings are located in the Wildlife Trek area and include; Life in the Water, Life in the Cold, Life in the Desert, and Life in the Forest. It is easy to spend quite a bit of time in these buildings, as each offers a good educational background. 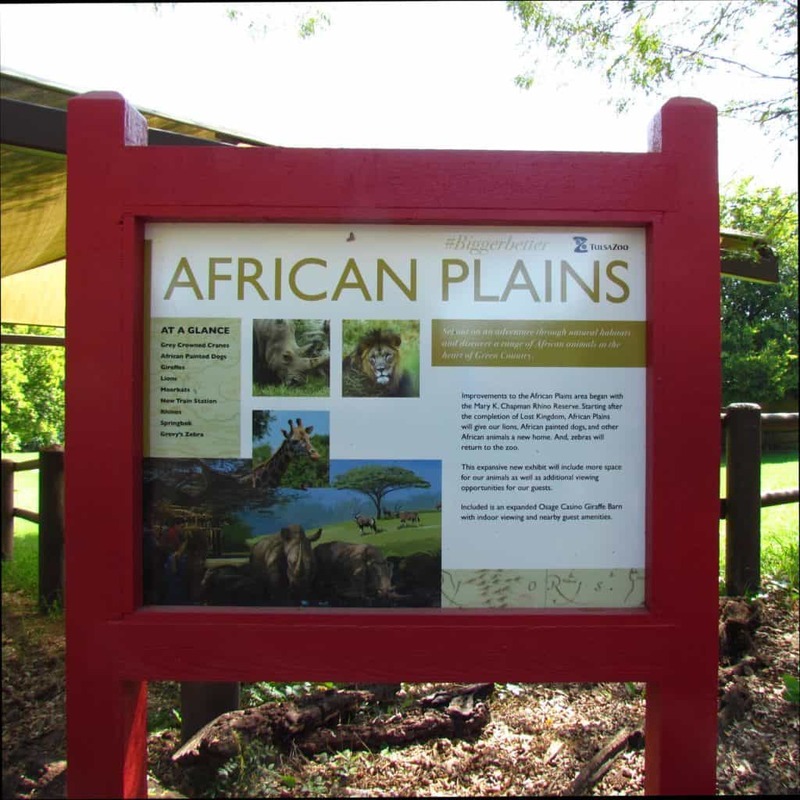 Tulsa Zoo is continuing with their updated master plan, and next up will be the African Plains exhibit. Much like the Lost Kingdom exhibit, this new area will feature open viewing areas that allow the animals more roaming room. We are sure that it will be just as popular as the latest exhibit expansion, and hope to have a chance to drop back by to see it when it is completed. Our time had ran out, as there was so much more of Tulsa too see. We made our way out the gate having enjoyed a wonderful morning at the Tulsa Zoo. So when are you planning to drop by for a visit? This is really interesting. . . 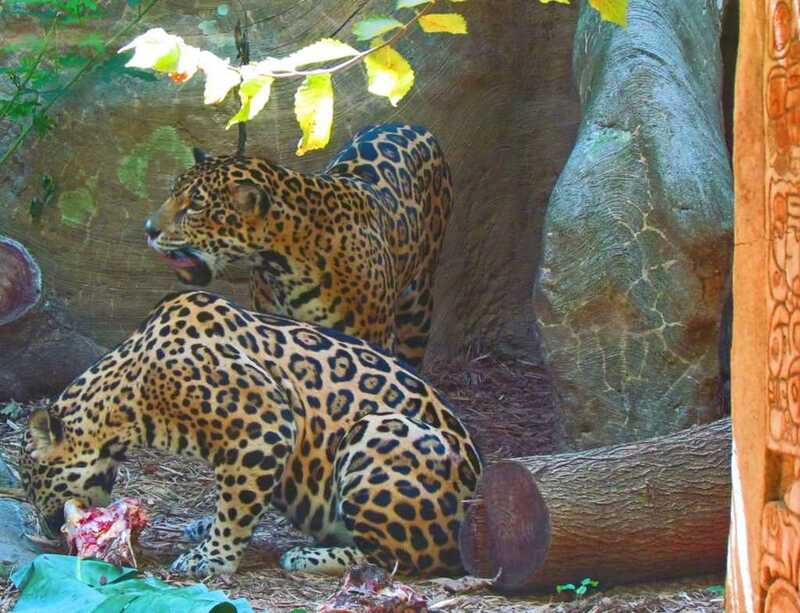 I usually skip zoos when traveling — I have mixed feelings about zoos to begin with, I find them a little depressing, most zoos have a lot of the same animals, and once you’ve seen animals in the wild it’s sad to see them in a zoo, but I also realize how important they are to increase awareness of animals and preserve rare species. Your story makes this zoo sound really compelling because it looks like a wonderful place to photograph the animals. It’s still a zoo, but it looks beautifully done and really pretty fascinating. I’m actually eager to visit here some day and spend some time trying to capture a few good images. Thanks for the tip! Thank you for visiting our site. We understand the apprehension some have with zoos, but fortunately these days they are much more animal friendly. We hope you have a chance to visit this one some day.